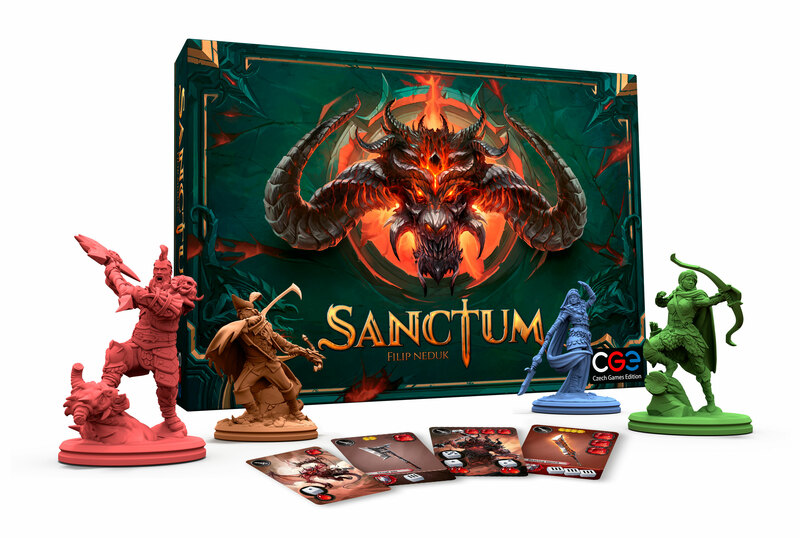 Sanctum is an epic adventure competitive game for 2-4 players that's inspired by the hack & slash genre and converted into a modern board game. 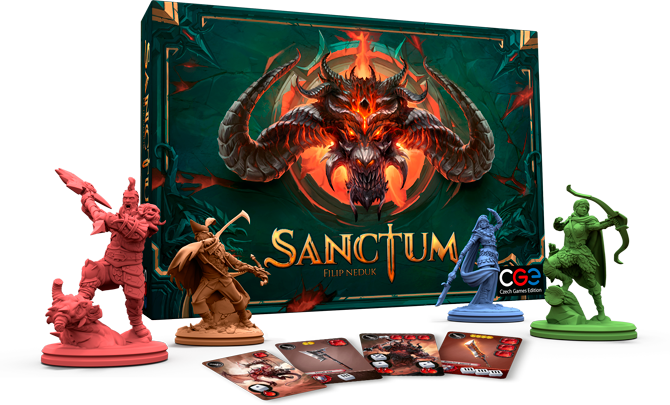 As one of the heroes, you embark upon a quest to rid the land of a demonic invasion, fighting your way through countless enemies and gearing up to face the Lord of Demons himself. In the process of venturing deeper into the land, ever so much closer to the Demon Lord, the heroes have to improve their equipment and adapt their combat tactics to face the increasing difficulty of combat.